We had a fantastic time playing the Darker Days Festival for our second year in a row! It was a pleasure to play alongside so many talented bands. Big thanks to Angela and Andrew for hosting a great festival, to all the people who came for the festival and supported us; you were amazing and to Evyltyde for lending us Noah! We can’t wait to see what next year’s festival brings. 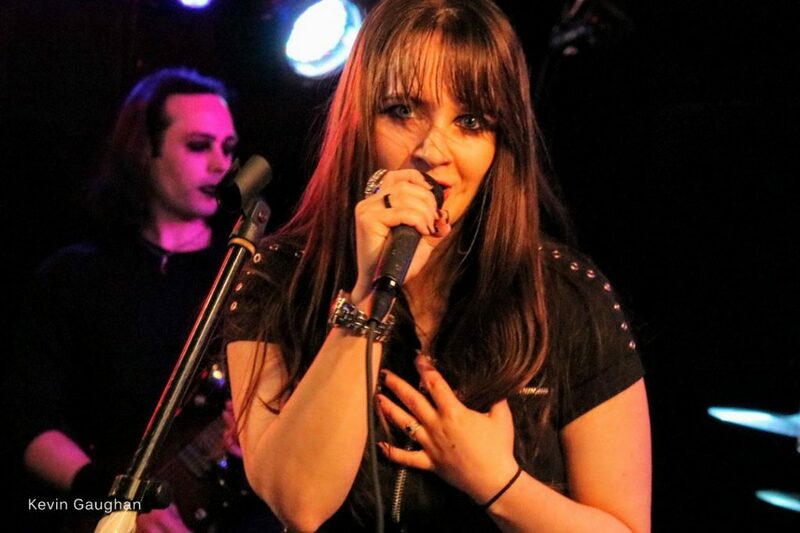 Next for us, this Saturday (31st) we’ll be heading to Welwyn Garden City at The Green Room where we’ll have the pleasure of playing with the incredible Eyevory who are coming over from Germany, Lifecry and King Violet. Noah will be playing with us once again before he soon heads off back on tour with Evyltyde. 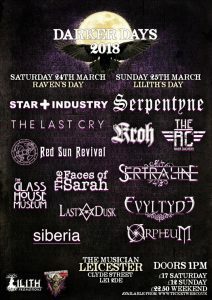 We’re very pleased to announce that we shall be playing at the Darker Days Festival 2018 on Sunday 25th March! We had a great time playing at this fantastic dark alternative festival last year, so we’re very excited to be returning this year and can’t wait to see you there!